Esteban Granero will go head-to-head with the world’s fifth best player on Saturday evening when RCD Espanyol take on city rivals FC Barcelona in La Liga’s Barcelonian Derby. 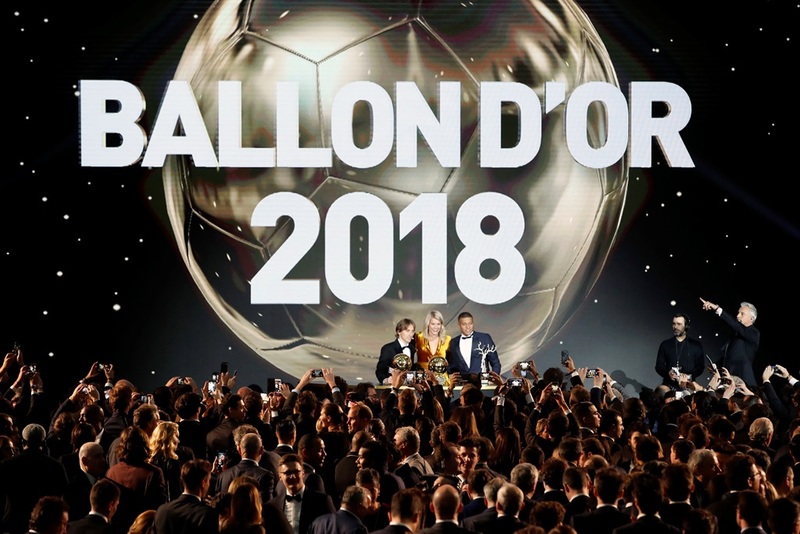 Lionel Messi and Cristiano Ronaldo’s duopoly on the Ballon d’Or came to an end this week as 176 journalists voted Croatian and Real Madrid star Luca Modric as the best player in the world. Granero, who has played against all three (and with Ronaldo for a spell), said it is always an honour to be on the same pitch as these players. “It’s always challenging to face these kinds of players. It feels good to play against these players and I have huge respect for these players who have been at the top for about 10 years now. The way to stop them is never easy,” Granero said on Wednesday from Spain. The 31-year-old is under no illusions that Barcelona will be out for goals as they try and re-establish their dominance at the top La Liga. Barcelona’s last five games have been a bit of a mixed bag after their crushing defeat of Real Madrid they lost to Real Betis and then drew to Atletico Madrid. With only three wins in their last five outings, Barcelona will be looking for some sort of consistency against their home-town enemies. “We know the best of Barcelona and we are ready to play them. We’ll have our chances in the game because we will prepare well. I can’t tell you what our tactics will be in detail, but I can tell you that we know we can beat them,” Granero said. The midfielder explained that with the ball Barcelona are just too good, and that Espanyol will be focusing on drawing possession away from them because “if they don’t have the ball it’s better”. He also emphasised that Espanyol will have to play the whole game at high-intensity if they stand any chance of victory. Espanyol started the season relatively well with six wins from 14 games, however they are now facing an unwelcome league streak of three loses in three games. Two of those games were against teams who sit in eighth and ninth place just below them, while their loss to Sevilla – who were topping the league at the time – was a bitter pill to swallow with two goals late in the second half. “This is the most open league I’ve ever played in La Liga,” said Granero, who has spent almost 10 years in the league. Granero said that the team’s mini slip in form recently will not deter them from achieving a top 10 finish this season. But before they can hold any aspirations of finishing anywhere close to the top they will have to overcome a rival they last won at home against in 2006. That year they also handed Real Madrid the title after a late goal by Espanyol legend Raúl Tamudo sealed Barcelona’s fate in the penultimate round. The derbi barceloní has been very one sided with 168 La Liga games being played between the cross-town rivals. Barcelona have won 97 while Espanyol have managed a meagre 34 wins. However, the last four games this year has seen that rift close slightly with one outright win apiece and one draw. Their last game, which was the season ending Supercopa de Catalunya, ended in a goalless draw and had to be decided on penalties. *The game will kick off at 21:45 on Saturday.